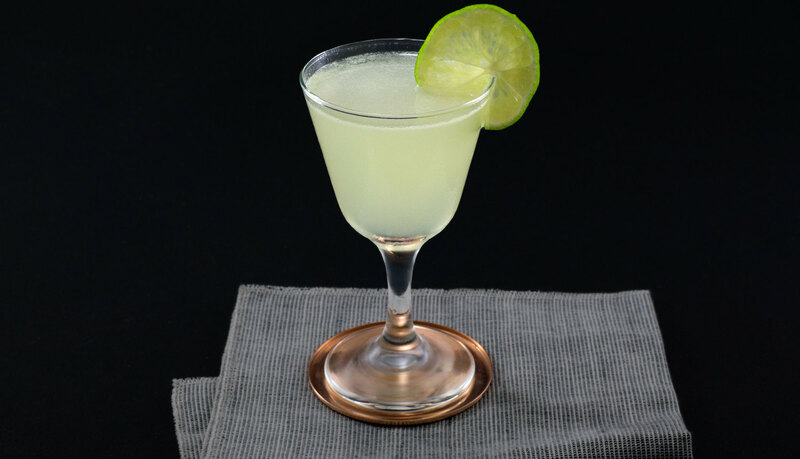 Before I get carried away on the many variations of this classic gin cocktail, it might be a good idea to ascertain firstly what a gimlet is. A gimlet is a cocktail of gin, and lime cordial over ice – and the variations come in the proportions of gin and lime (the ice is just to top up the glass). Amazingly, such a simple change can produce vastly different flavours, so this was an experiment I was quite looking forward to. Because I can’t do a blog about a cocktail without having drunk it, can I? First of all, there is the classic gimlet. This is equal proportions (one shot glass each in my case) of gin and lime cordial, shaken with ice and poured into a glass – or in my case, a 330ml beaker. If it reminded me of anything it was the old fashioned lime fizz boiled sweet, and was certainly not unpleasant. If it hadn’t been the fact that I was doing a taste test, I’d have stopped there and poured myself another. The first variation is two parts gin to one part lime cordial. I was surprised at just how sweet this was; you get a very definite hit of lime which goes really well with the sharpness of the gin. I rather like this one as well, if I’m honest. But then again, the gimlet contains two of my favourite things, so I’m on a winner whatever happens. Variation Two is three parts gin to one part lime cordial and is probably the closest thing to perfection I can think of that doesn’t include either sprouts or beetroot (my other two favourite things). The balance between sharp gin and sweet lime is spot on. Lengthened with a fair bit of soda water and this could be the perfect summer drink. Better than Pimms, anyway. Variation Three is four parts gin to one part lime cordial. Essentially a lime martini, this is just when you need to disguise the fact that you’re an alcoholic. Very, very dry. I think there may have been another version, but I couldn’t entirely swear to that, as by this time I was finding the whole experience far too enjoyable and had to go and have a lie down afterwards. 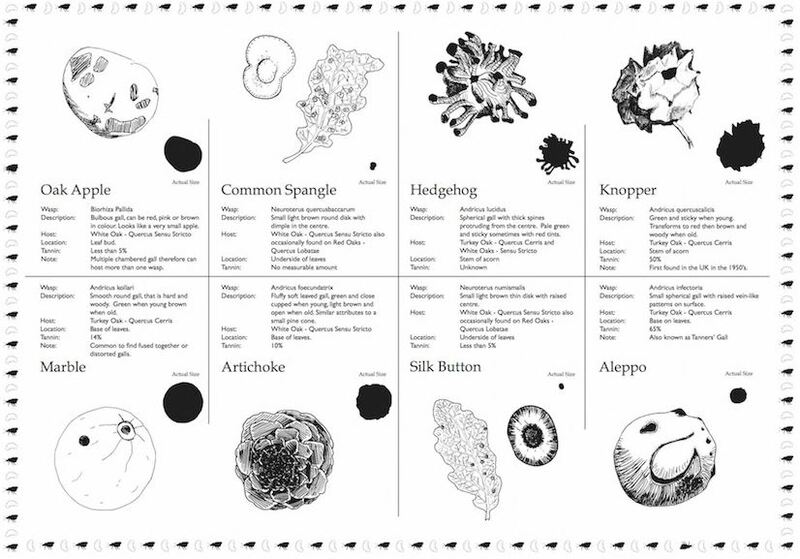 If you are going to recreate this tasting test for yourself, please do so responsibly, don’t drink the entire cocktail unless you don’t have to get up in the morning and please try and remember which one is which so you can let me know what you thought. I blame the Savoy for this. In the atrium, just before you go into Kaspar’s restaurant, they have a room filled to the rafters with the most wonderful artwork. The large feature painting was a portrait of the Queen, but my eye was caught by five small pictures on the lintel above the entrance to the restaurant. 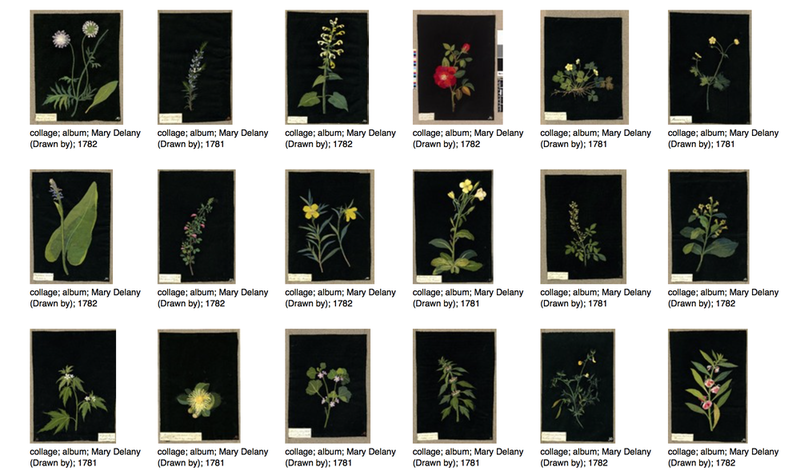 I am ninety nine percent convinced that they were original Mary Delany botanical collages, made in the early 1770s out of coloured paper on a black background. The majority of her works – of which there are 938 in total – are in the British Museum and are incredibly fragile, so it is wonderful to see some “in the flesh” as it were. Mary Delany was born in 1700 to an army colonel, and her uncle was Baron Lansdowne. She was married twice, firstly to a man over forty years her senior and, after his death, to an Irish clergyman, Patrick Delany. It was after becoming a widow for the second time at the age of sixty eight that Mary Delany started work on what she called her “paper mosaicks”, which she continued until her eyesight failed – by which time, she was in her late eighties. As Mary and her late husband were both interested in botany, she made sure that her collages were as accurate as possible, using layers of sheets of tissue paper to create shades of leaf and petal appropriate to whichever plant she was trying to represent. It is thought that she dissected the plant to ensure her accuracy, but her collages are nevertheless incredibly detailed. She also corresponded with many of the leading figures of the time, such as Fanny Burney, Jonathan Swift and Sir Joseph Banks – who created Kew Gardens – and her letters offer an equally detailed picture of polite society of the time as her collages do of polite society’s gardens. There’s a wonderful passage in Gravity’s Rainbow by Thomas Pynchon where an American GI based in England during the war is introduced to classic English sweets and finds the choices becoming increasingly surreal. It’s fair to say that classic English sweets are a bit of an acquired taste, but then I never acquired a taste for Hersheys chocolate so perhaps that’s only fair. In fact, the somewhat baroque nature of classic sweets was also parodied by Roald Dahl in Charlie and the Chocolate Factory, where Mr Wonka is experimenting with various flavours of boiled sweet. 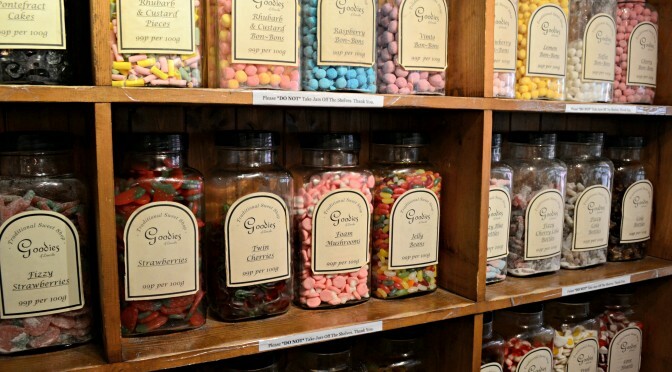 There are essentially four types of classic English sweet – mints, toffee/fudge, fruity chews and the boiled sweet. Mints come in all shapes, sizes and strengths, but are all characterised by their distinctive taste and slight chalkiness to the taste. Toffees and fudge may have different flavours – usually butter or chocolate – but they are characterised by being soft and chewy, even if they contain nuts. Fruity chews have a similar consistency to toffee but are brightly coloured and (unsurprisingly) a fruity flavour. It is the boiled sweet in all its forms that fascinates me. The boiled sweet is so called because during its manufacture, the sugar is brought to boiling point, meaning that the resulting confection is hard, rather than chewy. 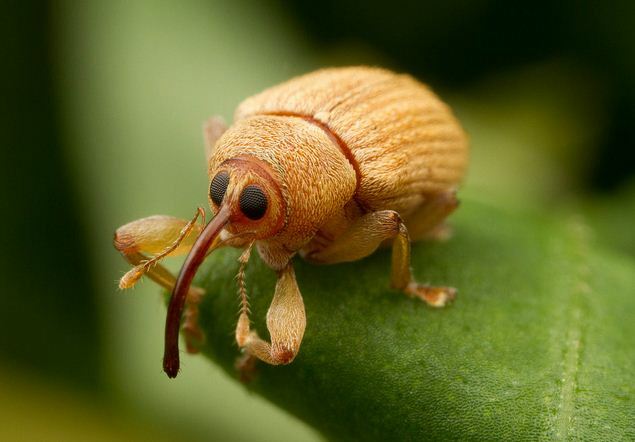 A good example, actually, is the mint humbug, which despite its flavour is not a classic mint. They come in all shapes, sizes and – amazingly – flavours. Hands up who’s eaten a clove ball or a pear drop? Boiled sweets have to be sucked and held in the mouth until they disintegrate – or get small enough to crunch – and take time to eat, so the pleasure isn’t over in a couple of minutes. This may also be why they come in such peculiar flavours. I’ve already mentioned the clove ball, which is a highly flavoured ball shaped sweet and really isn’t to everyone’s taste. It’s a variation on the aniseed twist (which I also like) but shaped like a cinnamon imperial. There are sherbet lemons, the cause of many watery eyes and cleared sinuses – acid drops, barley sugars, cough candies and the delightful bulls eyes, which have probably broken more teeth than the average football terrace punch up. It’s that combination of spicy, sweet and sour all merging together into one delicious treat that, if eaten right, can last ages. There really isn’t anything quite like a proper old fashioned sweet is there? As most of my friends (and relatives, it has to be said) will tell you, I’m rather partial to gin – even though I openly admit to cleaning my jewellery in it. Does bring the old diamonds up a treat, I must say. It’s much better in a cocktail though, so I’ve dug out my old recipe book to see what gin-based potions take my fancy. Top of the list is one of my favourites, the negroni. 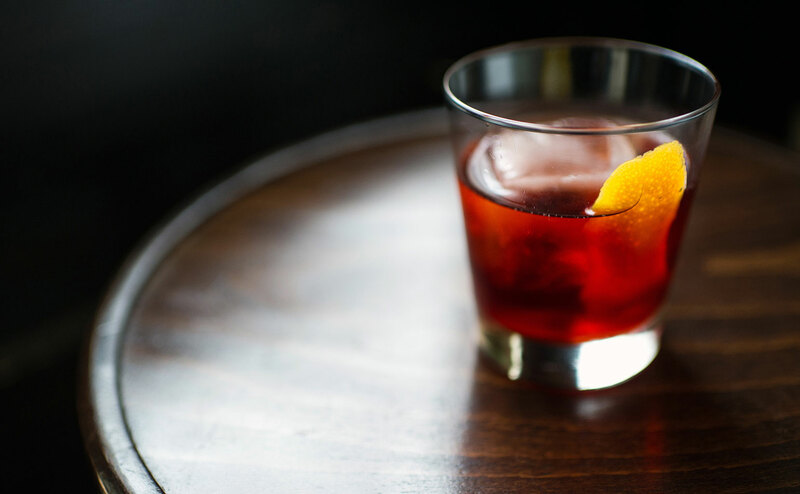 The negroni is an aperitif comprising equal parts of gin, red vermouth and Campari, served with a sliver of orange peel. It’s remarkably tart, fruity and extremely potent. Just the thing to kick start a three course dinner. It was based on an established cocktail called an Americano, which was equal parts Campari, red vermouth, topped up with soda water and garnished with a slice of lemon. If gin isn’t your tipple (strange person you are), there is a whisky variant called the Boulevardier; the Dutch make a negroni with their own native genever rather than London dry gin; an Old Pal is a version using dry vermouth and Canadian rye whisky. There’s even one with tequila! However you like your cocktail, I hope you have fun experimenting and enjoy a negroni. Please remember, however, the recommended guidelines for alcohol and also bear in mind that the average cocktail is often a lot more alcoholic than it looks! I love carnivorous plants, but I’m hopelessly brown thumbed. I really have no idea how to keep plants and could probably kill an artificial one if it was left in my care long enough. So I try to keep my botanic interests to reading about plants rather than going too near them – for their safety, rather than mine. So far as I can tell, there are three main types of carnivorous plant – the pitcher, the fly trap and the sundew, which has sticky fronds to trap insects. Almost all of them feed on insects, although I’m told that fly traps are rather partial to cat food if all else fails. Admittedly, they don’t come from outer space, try to eat their owners or wander the streets looking for prey, but why should they when the prey comes to them? There’s an evolutionary question as to why some plants are carnivorous and the majority aren’t, which I simply do not have the answer to, and I’m sure a talented writer could create a plot around it. 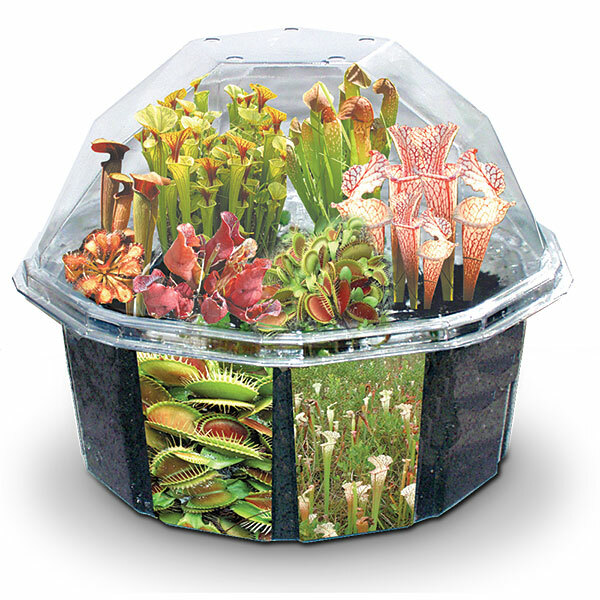 I’m surprised that carnivorous plants don’t play a greater role in modern science fiction. I mean, outside of Wyndham’s triffids and Audrey Two from Little Shop of Horrors, I can’t think of any plants that aren’t the anonymous lianas that wrap around the heroine in a pulp movie and drag her into the undergrowth so she can be rescued by the hero – I’m fairly sure that was Flash Gordon, but I can’t swear to it. There’s a carnivorous tree in an obscure horror story that I’ve managed to track down but that’s pretty much it. Fiction has rather more vampiric plants, but they’re not quite the same thing – at least, I don’t think so. There’s a fabulous short story called Lost in a Pyramid which features a vampiric plant that feeds on a human’s energies, rather than blood. I really must get round to re-reading that one day. And, of course, poisonous plants are everywhere – which reminds me to re-read Rappaccini’s Daughter soon as well. I think the difference between these plants, triffids and Audrey Two is that the latter pair are actively homicidal. They have a plan which involves seeking prey rather than just taking advantage of the prey that comes to them. Let’s just hope that in the event of an apocalypse, the carnivorous plants die off as well. Mercutio’s vicious verbal attack on Romeo and Tybalt in Act III of Romeo and Juliet would have had a devastating impact on contemporary audiences. 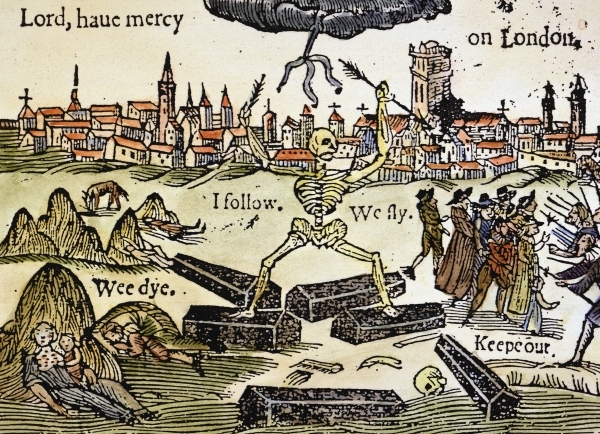 Plague was rife in Tudor England and a number of times in his career, Shakespeare found himself without a theatre due to an outbreak of the disease. It was not really controlled until the widespread development of brick-built houses, as flea infested black rats tended to live in thatched roofs and wattle walls. Being a parasite, the fleas would look for a new host as soon as the previous one died – in rats, after about a week – and it was only a matter of time before they moved to humans. Bubonic plague was a dreadful disease. Apart from aches and fever, the patient would develop a red, ring shaped rash followed by massive swellings would develop in the patient’s groin and armpits – the buboes that give the disease its name. Actually, if you want to know how the disease progressed, just recite the nursery rhyme “Ring of Roses” – that’s where the rhyme comes from. From infection and first symptoms to death would usually take about three weeks. Of course, not everybody died and it was quite possible for some people to develop an immunity from repeated exposure. These people often became “plague searchers”, who would go from house to house during an outbreak to see if any of the occupants were infected. 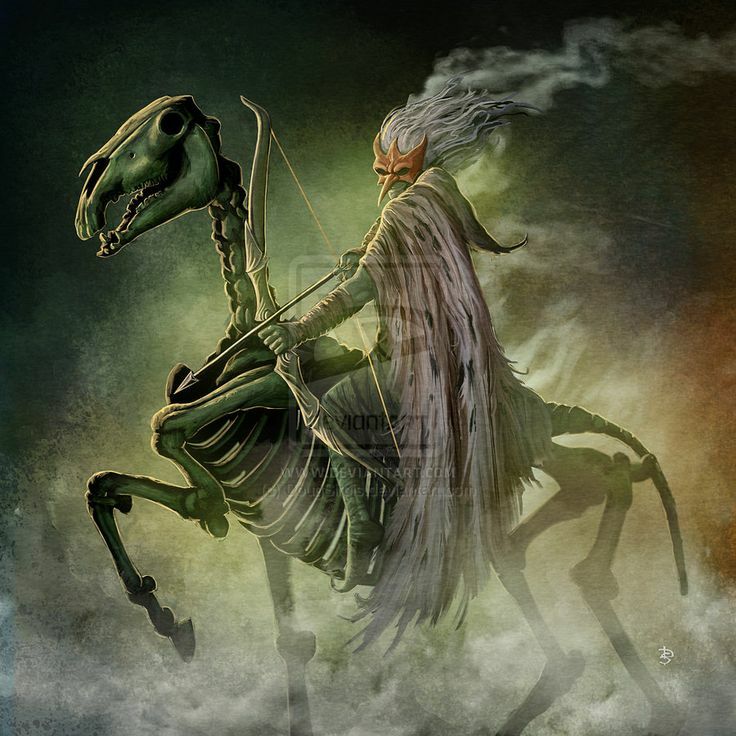 They would also be responsible for removing the dead and ferrying them to a burial pit outside the city. The searchers are also referenced in Romeo and Juliet; the priest is prevented from explaining to Romeo that Juliet has faked her death because he is in quarantine, having visited a house where plague was discovered. I’m starting to wonder if Romeo and Juliet ought to be read as a plague play rather than a great romance. Perhaps if I tried that, I might find it a bit more interesting. I love trees. That’s not really news if you know me, nor is it news that I am often finding little oak seedlings growing in my garden due to forgetful squirrels and jays. However, watching a recent documentary on the BBC led me to realise how little I actually knew about this wonderful plant. Out of a host of wonderful and amazing things, the oak gall must be one of the most fascinating. Oak galls are formed when tiny wasps – the oak gall wasp, unsurprisingly – lays its egg in the female flower of an oak tree. As the flowers are what form the acorn, as they develop, instead of forming acorns the flowers turn into huge, strangely shaped growths from which the larvae of the wasp grow and finally hatch. 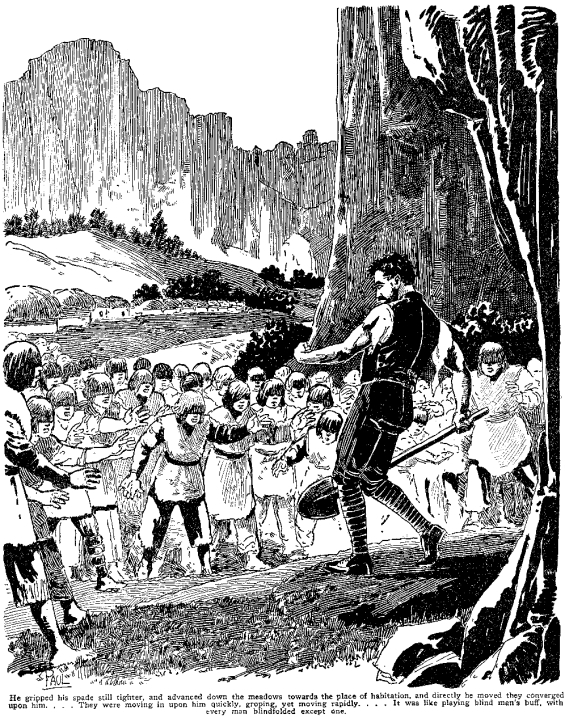 It is not unusual to find a twig containing three or four acorns and at least one gall. The other acorns will be unaffected. What I did find interesting is that there is more than one species of gall wasp, and each species creates a uniquely shaped gall. Some are round and quite plain, others have offshoots that look like tentacles. There are quite a few distinct species of gall wasp in Europe and America, so lots of galls to collect if you fancy an unusual hobby. 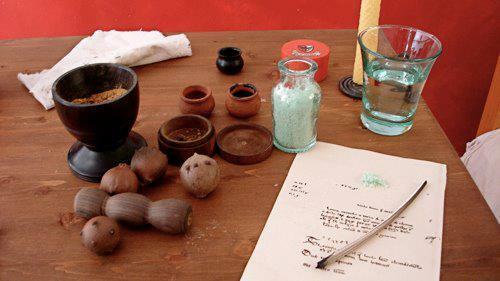 Oak galls were also used to make ink; and this ink proved to be incredibly important to historians. By crushing oak galls and combining them with iron sulphate and a binding agent, a dark blue-black ink is created which not only darkens over time but is quite permanent. From the earliest years of writing legal documents, this ink was used to create a permanent record and is still used today in the form of “registration ink” – this is what is used to write birth, marriage and death certificates. It is striking how something that is a pest to a tree can actually produce something so useful and – when you explore the variety of oak galls – unusual. If I hadn’t watched this documentary, I would never have known just how varied and fascinating the product of the oak gall wasp could be.